Jyo saku and regular saki)This sword belongs to Jyojyo saku ranking. Blade length :　68.1cm or 26.81 inches. Sori : 1.8cm or 0.70 inches. Width at the hamachi :3.18cm or 1.25 inches. 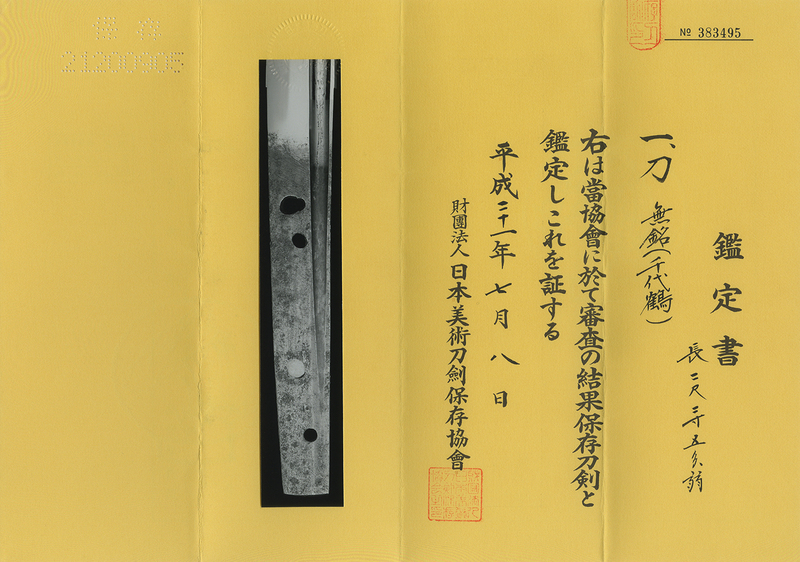 Width at the Kissaki :2.26cm or 0.88 inches. on both side in Kakinagashi style(The groove is engraved until the middle of nakago tang). It is wide and thick solid shape. The Sori curvature is deep and kissaki is long end. Hamon: Nie Deki with soft gunome midare. Ashi is attached. Sunagashi activity is appearing. Boshi is midarekomi(wavy) brush up hamon with kinsuji activities appearing. until Bunan era of Muromachi period. Hence, he is also highly rated as Chiyozuru or other name Echizenrai. was sent as present between the Daimyos. with elegant feeling of that time remaining. this sword as Kashu Sanekage accordingly to the sayagaki. Mumei sword is hard to distinguish as it could be either Chiyozuru or Kashu Sanekage. The sword is not made later in any case. has been assasinated while under convey of Emperor Gokougon. 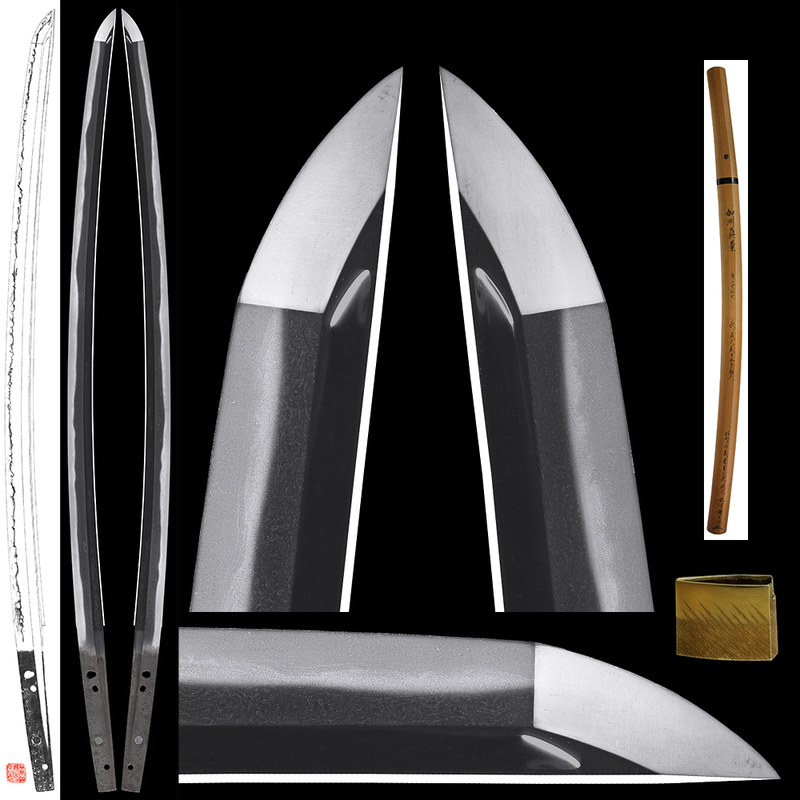 Katana : Kanemoto (Magoroku) 2nd generation.